This is a great blog hop! I love embossing and can’t wait to see what is new. I heat emboss on almost every card! 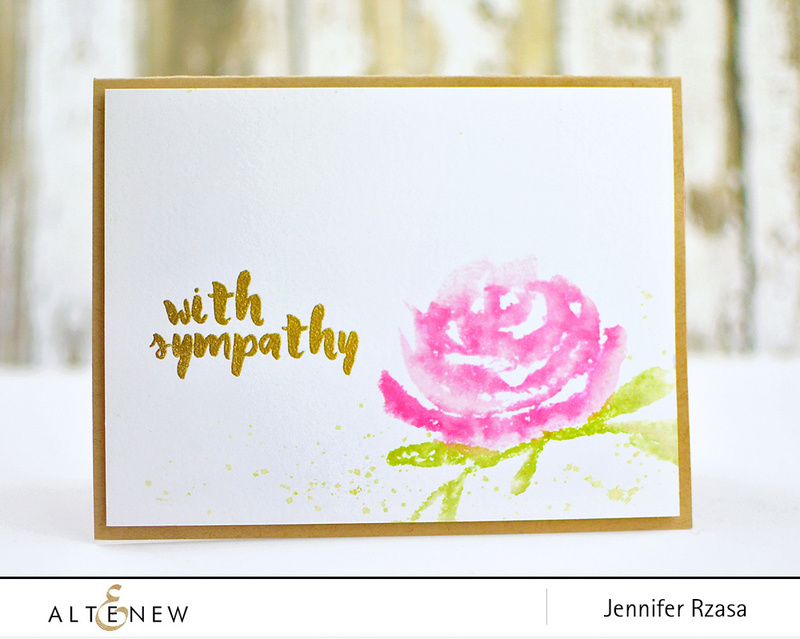 Love the watercolor rose card, so beautiful! I can’t wait to hop onto all the cards on the hop today :) Thx for giveaway!! lovely cards! the moon is my favorite!! Altenew and Wow! is a fab combo! Looking forward to tons of inspiration with this hop! Love your cards today! WOW has the most fabulous embossing powders. And, of course, Altenew has the most fabulous stamps, too! Love love love this To the Moon stamp set….can’t wait for it to be back in stock. I love WOW embossing powder. I only have a few jars of it but hoping to get more in the future. Your cards today are amazing! Altenew is a fabulous company! Two amazing cards Jen. What a perfect pairing of products! I didn’t realize WOW was its own company and had so many colors. Love how it enhanced the moon. 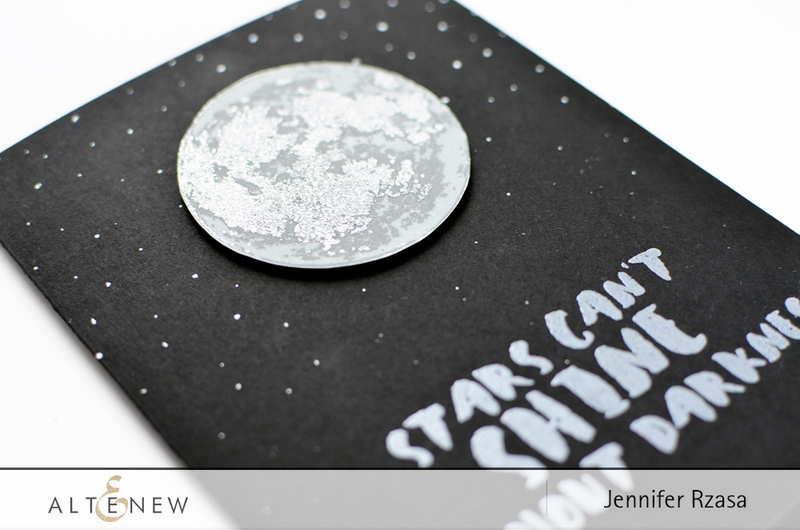 Love the watercolor card and also the glittery effect with the powers on the moon stamp card! Fabulous cards! Love To the Moon stamp set and it gets so great with dark background. It’s hard to decide which card I like best. Both are wonderful. The moon card is SO striking and beautiful….would love to CAFE it. Love both of your cards. That moon looks fantastic! both of your cards are fantastic – love the flower! awesome cards.. that moon looks awesome. Fabulous cards!! Love the layers of powder on the moon!! I need to add to my collection of Wow powders! I know this will be hard to believe, but I was just doing a little investigative research on WOW’s white superfine embossing powder! I cannot wait to hear what your fab d.t. might have to say about it! I love both of your cards. 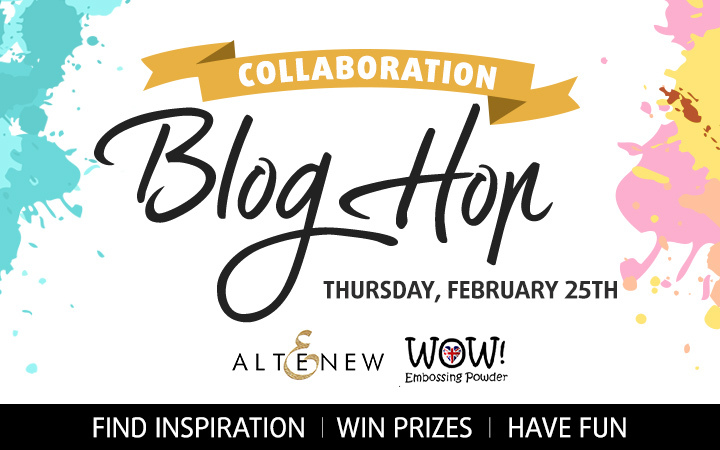 Altenew and Wow embossing powders are a match made in heaven! What an awesome collaboration. This was a beautiful blog hop, thanks for putting it together. Clean and simple to look at, but gorgeous. 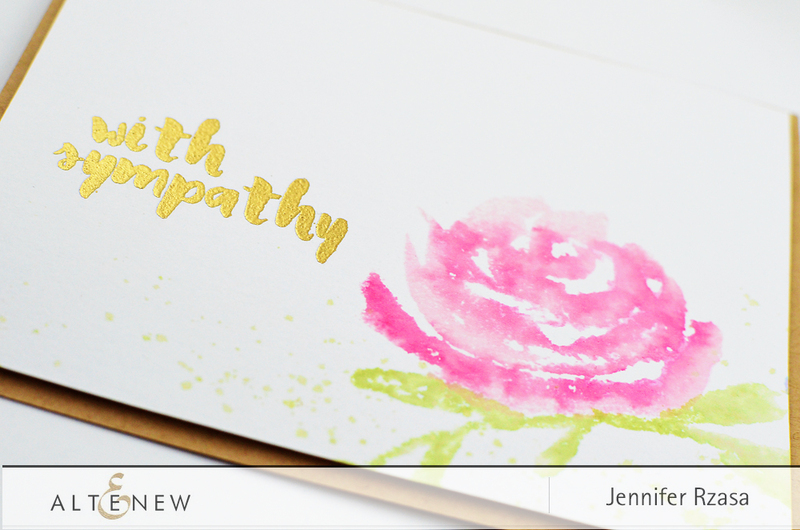 I love the look that embossing adds to a card. Your moon is fantastic. Jennifer I was right – they truly did come through for me, and always! By the way … your cards are both amazing, and beautiful! 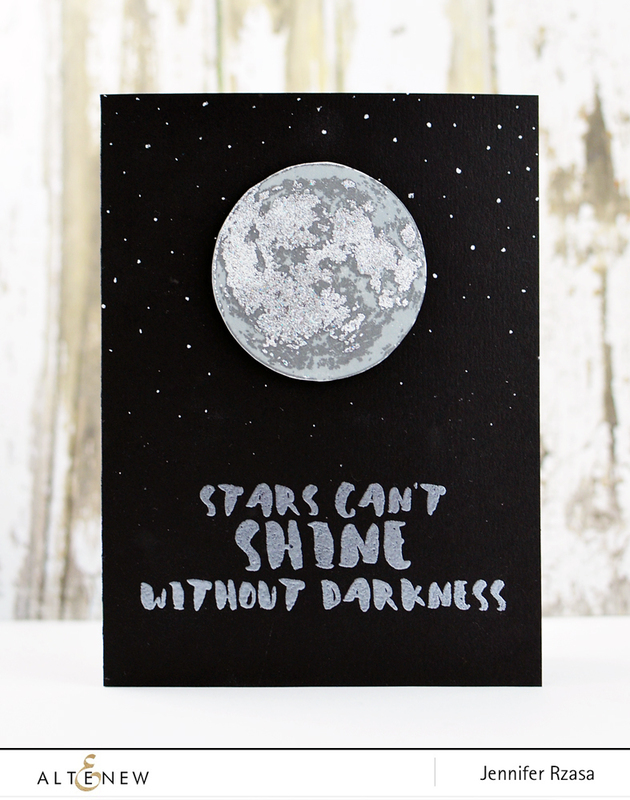 Great cards and I love a good blog hop. Thanks for sharing this!! Great cards. Good ideas. Thanks for sharing. The watercolor is lovely and the moon card is rich looking! Love WOW powders! They cover very well. The Altenew To the Moon Stamp set is so cool. Looks like the Moon! Love these! What a combination! Love the soft watercolor look and that moon is downright amazing! Another fabulous blog hop with a stellar lineup of designers! Great cards and use of embossing powder! Such a fun hop! What a cool look the EP powder gives to the Moon! Your cards are amazing! I love watercolor and your floral stamps are perfect for this technique. Thanks for the blog hop can’t wait to see all the great inspiration! That is the best looking moon ever! Off to hop! Love the variety of artists included in this blog hop. There’s mixed media, journal pages and cards. Very nice! So much inspiration. WOW WOW WOW!! So so pretty! Love the stamps, love the embossing. The moon card is amazing! Great blog hop. Thank you! Love these cards. I can moooon over the card! Great inspiration and had fun hopping! You never disappoint.. Your cards are always amazing and I love WOW embossing powders, definitely my favorite brand. That moon card is amazing!!!! i have a MILLION ideas for that moon stamp!